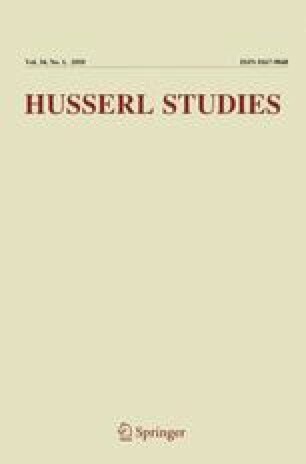 Claude Romano (2012) and Andrea Staiti (2015) have recently discussed Husserl’s account of perception in relation to debates in current analytic philosophy between so-called “conjunctivists” and “disjunctivists”. Romano and Staiti offer strikingly different accounts of the nature of illusion and hallucination, and opposing readings of Husserl. Romano thinks hallucinations and illusions are fleeting, fragile phenomena, while Staiti claims they are inherently retrospective phenomena. Romano reads Husserl as being committed to a form of conjunctivism that Romano rejects in favour of a version of disjunctivism. Staiti, by contrast, claims that, from a Husserlian viewpoint, conjunctivism and disjunctivism are equally untenable. I suggest that both Romano and Staiti offer implausible accounts of illusions and hallucinations, and deliver premature verdicts on Husserl in relation to the analytic debates on perception.